Efforts to finally realise Word River are chugging ahead. The project is over two years in development and has proved the most complicated of all my interventions on the Liffey to date. Essentially Word River is a celebration of Joyce and the river which informed much of his output. 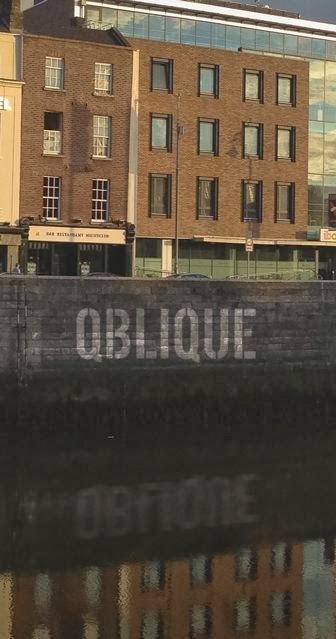 It takes the form of a Joycean act, playfully relocating 108 words from Dubliners to the quay walls between O'Connell Bridge and James Joyce Bridge. The 1km long sentence of washed words will be visible for up to 12 months before the patination process consigns the intervention to history. 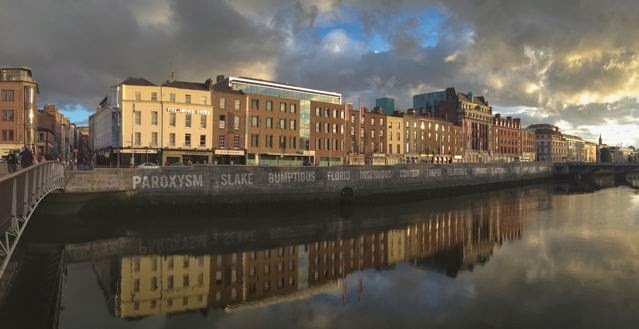 Permission for Word River is currently being reviewed by Dublin City Council. 2014 marks the centenary of the publication of Dubliners. It would be a great testament to the enduring power of Joyce's words if we manage to complete the project this year.